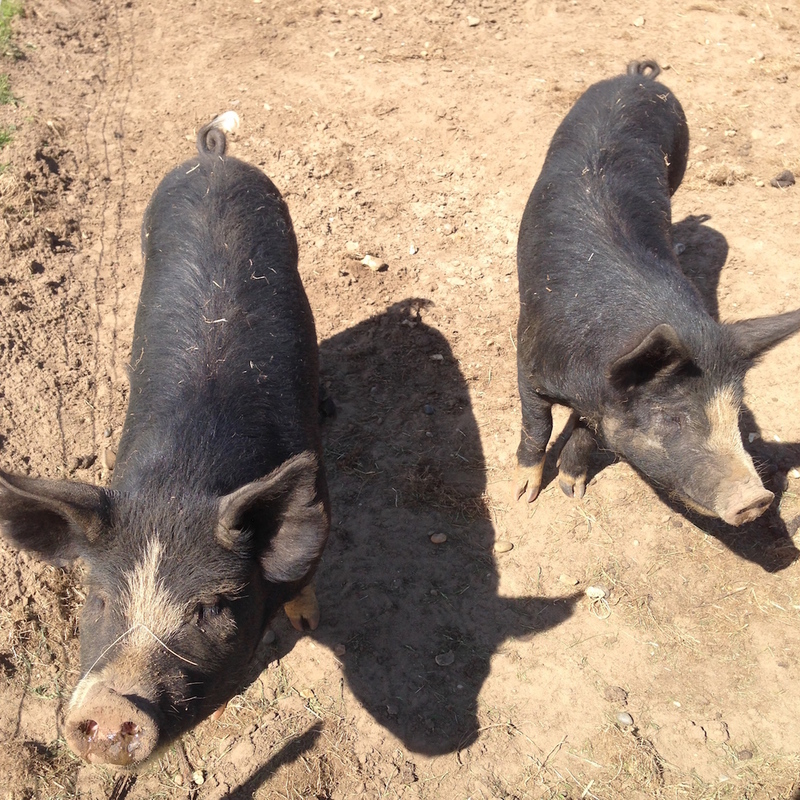 We don’t use euphemisms for when our animals go to the abattoir, but then someone mentioned that they tell their pigs and sheep that they are going ‘off to university’ – I found this very, very funny. So now our animals are getting ready to go off to university. 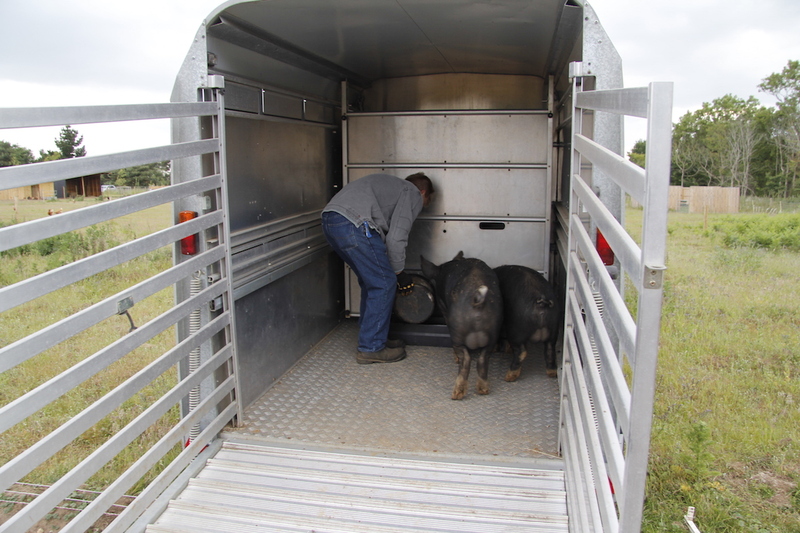 We always practice getting the pigs into and out of the trailer before the due date so it lessens the stress for them and us. 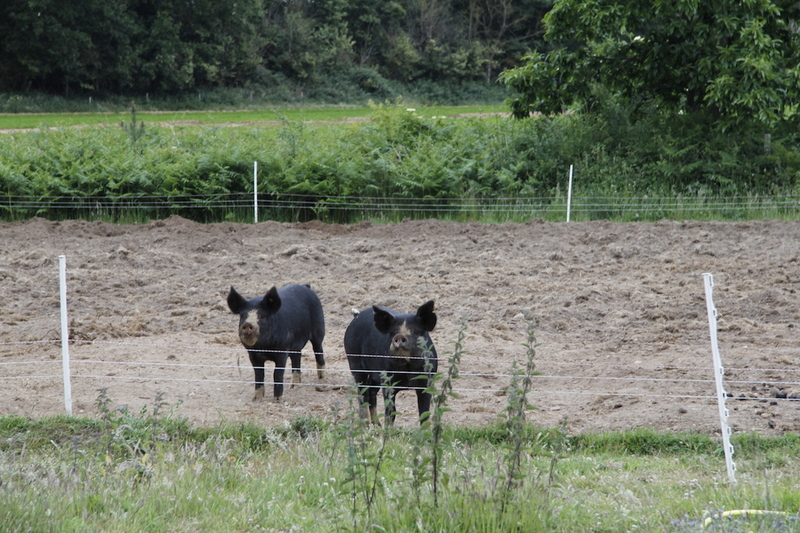 Last year we had some trouble getting the Large Blacks in – see Teleology, pigs and the dilemma of killing. So this year I resolved to train them to follow a bucket. This worked brilliantly. I have generally put their feed in a bucket and instead of pouring it straight into the feeder I let them eat out of the bucket and also wander around their pen getting them to follow me. Thus when it came to lure them into the trailer they had a moment’s hesitation and then rushed straight in after the bucket. 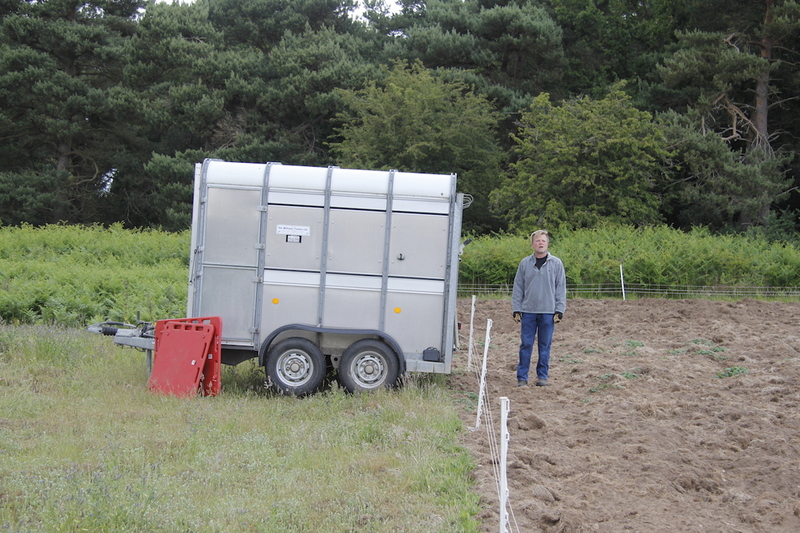 In fact they are now so used to the trailer – and see it as a place full of food – that they rush up to it, trying to get in. 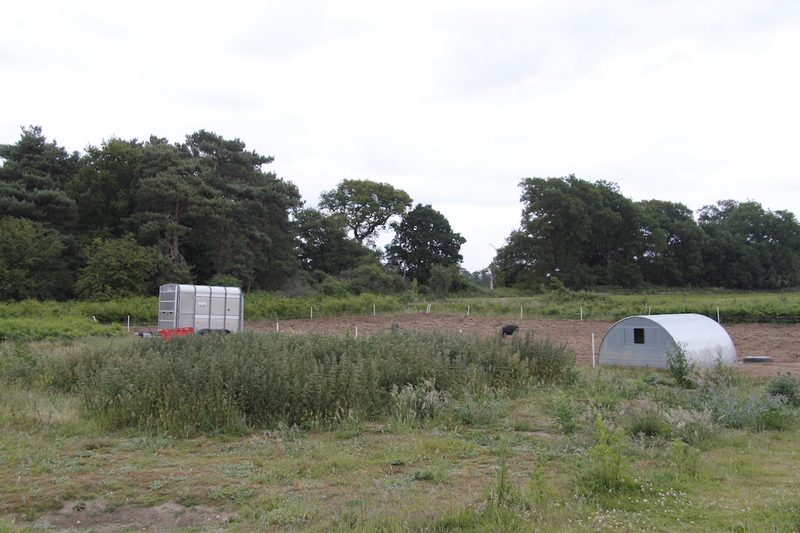 In terms of arriving at ‘university’ they are also happy to leave food and follow the bucket out of the trailer – so fingers crossed it works on Monday morning at the abattoir. I am gradually learning more about this animal keeping lark. N.B. 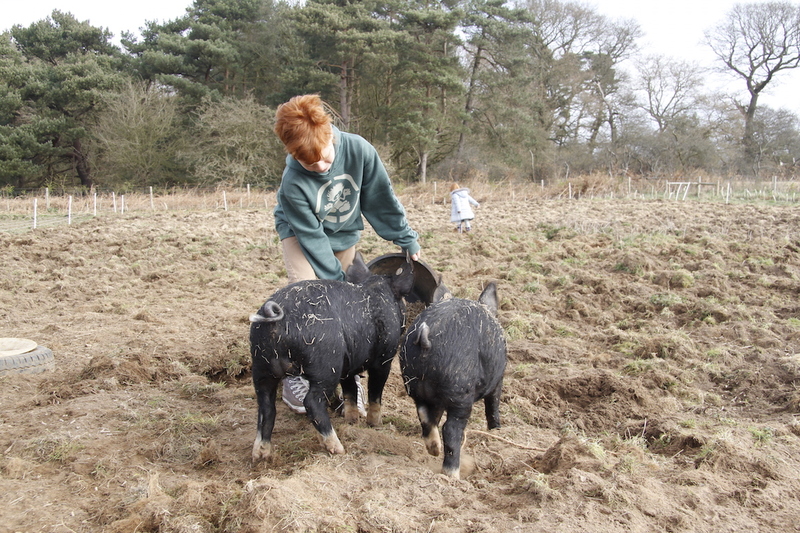 the pigs were scheduled to go off last Monday but there was a problem with the boiler so they ended up having a ‘gap week’ and are off this coming Monday. Given what happened to Daisy Dog on Monday this was fortuitous. N.B. My friend on Instagram says that her ram lamb has been talking about doing an apprenticeship rather than going to university – ours are definitely off to do a degree!